30 year old Iggy Pop kicks off his first date on the UK leg of his 'Idiot' tour at Aylesbury, Friars tonight. It's his first comeback tour since the early 70's. And alongside mentor David Bowie guesting on Keyboards, this was gonna prove to be a very productive year for the Iguana. UK punks The Vibrators just back from Germany are playing support. New Yorker Cherry Vanilla without record company backing and with only one guitarist from her real band makes her UK debut at the salubrious surroundings of Newport's Stowaway Club tonight. She is however accompanied by The Police who are also making their live debut as her backing band for the tour and also play a support slot too.They are paid £15 between em!!! Meanwhile T.R.B. play Kensington hotel, in London. 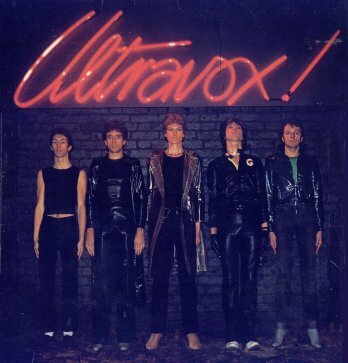 Ultravox! release their debut album imaginatively titled 'Ultravox!'. It's a set of originals recorded in the Autumn of 1976 with Brian Eno and Steve Lillywhite producing. They are one of the new breed of intellectual bands who are under the Punk banner but make novel use of neon lights, futuristic imagery, Synthesizers and Electric Violin in their ultra- modern sound. play Putney Railway Hotel in London tonight.